In the beginning, there was Bob Menzies. In the mid-1940s he moulded the lumps of clay that were the detritus of the UAP and various anti-socialist groups, spoke the word, and thus sprang forth political liberalism in Australia. This is the creation myth that is regularly recycled by notables in the Liberal Party, and warmly received by a membership which barely knows, and rarely cares, about its history. The truth about political liberalism in Australia is, however, quite different, and pleasingly so. Classical liberal thought in Australia has a long and illustrious tradition, as John Manning Ward demonstrated. The discontinuity of the parties which espoused that tradition has, however, left a gap in the teleology of political liberalism—a gap that the Labor Party and its socialist mythologisers have never had to bridge. This review appears in the most recent Quadrant. Into this lamentable gap in the historiography comes Zachary Gorman, and his new biography of Sir Joseph Carruthers. Carruthers was a Minister, Treasurer and Premier in New South Wales. He was a participant at the conventions which led to Australian federation. Were his health not so poor, he may well have transitioned to federal politics and stood as a bulwark against what Paul Kelly has called “the Australian Settlement” of tariffs, centralised waged fixing and state paternalism. Most importantly, he was the person who gave form and substance to Australia’s first true liberal party: the New South Wales Liberal and Reform Association. Joseph Hector McNeill Carruthers was the younger of two sons, born in 1856 to an alcoholic ex-convict who had been transported to Australia. He was a sickly child, and was moved around New South Wales by his parents, in search of better climate. His father was a friend of Henry Parkes and became active in local politics, and it was from there that his son developed his political philosophy. New South Wales was the leader in liberal thought in colonial Australia, and it meshed perfectly with Carruthers’s worldview. Possessed of a deep knowledge and respect for Mill and Gladstone, he considered that free trade was desirable not merely because it worked, but because it was moral. if prosperity comes to a country with modern self-governing institutions, very little of that prosperity is contributed by legislation and acts of Government, although I would admit that legislation and acts of Government can diminish its prosperity. And he lamented, in 1902, that Australia was “the most over-governed and over-taxed country in the world”. One can only wonder what he would make of Australia now. This is not to say that he was a complete devotee of laissez-faire. He supported the creation of a state bank, but only on the proviso that it not compete in the same markets as private banks. He supported a broad land tax as a replacement for all other taxes and duties, but was not a doctrinaire Georgist. Like George Houstoun Reid, he accepted some role for the state, but they were not Ward’s “new liberals”, such as Alfred Deakin, who saw the state as the key driver of economic and social progress. Carruthers and Reid were not only ideological allies, they were firm friends. When it came to Australian federation they found themselves on the same side, and thus are often seen as obstructionist “baddies” in the eyes of historians of federation. In his defence, Carruthers believed that federation was inevitable, but what he sought to do was to make sure it would have the best possible foundation: free trade, liberalism and devolution of power. Carruthers’s own difficulties with a conservative upper house in New South Wales made him wary of a strong Senate; his concerns over the arguments about water allocation in the Murray-Darling Basin still resonate in today’s disputes; and his distrust of the use of federal-state financial arrangements for greater centralisation of power was unquestionably prescient. Despite these concerns he was always a strong supporter of a “yes” vote on federation. When events took their inevitable course, and the growth of federal power commenced almost immediately after 1901, he revived his early advocacy for the primacy of states’ rights. In many ways, his political career was one of a man fighting against constitutional centralism, and this explains his support for devolution at a state level too, through the formal recognition and empowerment of local government. If Carruthers failed to prevent centralisation, then there is one area that he unquestionably left his mark on Australia, and that is the creation of the Liberal Party. Moreover, it was he who first identified the “line of cleavage” that positioned subsequent politics in Australia as a battle between socialist and anti-socialist forces. Even into the early years of the twentieth century, the political landscape was dominated by arguments of protectionism versus free trade. Carruthers had worked with the newly formed ALP in the 1890s but was aghast when the “caucus solidarity” pledge was introduced. For him, binding a man to vote in opposition to his beliefs was anathema to the principle of responsible government. After the ALP brought down Reid’s government through the use of caucus solidarity, Carruthers never worked with the Labor Party again. As the ALP moved from the protection of guild socialism to increasing radicalism and calls for nationalisation of industry, Carruthers’s attitude hardened further. Whereas Deakin believed that political socialism was possible only at state level, and thus could be contained, Carruthers saw that its spread was inevitable. 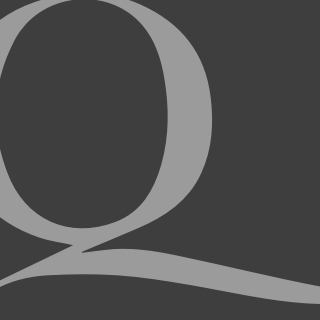 Socialism would gravitate towards power and if, as he feared, the federal government would acquire more and more power, socialist activists would soon follow. Thus, Carruthers delineated the ideological battle for the twentieth century. It would not be free trade versus protectionism, it would be liberalism against socialism. To fight this battle, Carruthers needed to build an organisation which could be as strong as the ALP-union combination. Carruthers made the modern Liberal Party. He built the ideological and organisational foundation which Menzies merely resurrected and refashioned. Although writers like Don Harwin have investigated this previously, Zachary Gorman has gone into detail about how and why it came about. 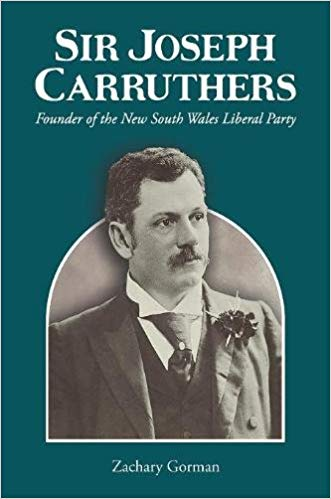 As early as March 1889, with the formation of the Liberal Political Association, Carruthers established an organisation not merely focused on the principle of free trade, but with a comprehensive liberal political platform. When the Liberal and Reform Association (LRA) was created, in December 1902, it was Carruthers who provided the intellectual weight for its new platform. Where Carruthers differed from other liberals of the era is his foresight to provide the practical means to deliver political success at elections. He was an organisational genius who built up local branches into a state-wide network, reformed the system of preselections, and introduced new campaigning methods—such as the novel idea of driving between and around electorates in a motor car. When the task of professionalising the organisation went beyond one man, Carruthers brought in Archie Parkhill as his apprentice. Parkhill went on to become a key figure in the Nationalist and UAP organisations, and thus the organisational legacy of Carruthers continued into these national bodies. The success of those endeavours is obvious: between 1901 and 1904 the LRA either retained or gained power in every election it contested, except for two seats. Carruthers himself never lost a single election that he contested. The organisations established by Carruthers all had the same basic structure, and often the same personnel. It was a system that worked, and kept being replicated over time. Gorman has strong grounds to claim that the establishment of the LRA really is the establishment of the modern Liberal Party. Aside from this legacy, Carruthers is also a fascinating figure for his modernity of thought. He opposed malapportionment of electorates, sought reform of the unelected New South Wales upper house, and introduced a Public Service Board to eliminate nepotistic and sectarian appointments. He was sympathetic to the plight of Aborigines—including a withering campaign in support of the right for Aborigines to retain the franchise—and was a moderate conservationist, protecting the area which would later become Kosciuszko National Park, and promoting Arbor Day in schools. As Minister for Education, he sought to increase equality of opportunity through increased numbers of university scholarships, and the creation of a residential college for women at Sydney University. As Premier, he would introduce free schooling, a teachers’ college to professionalise the workforce, and a new series of technical and agricultural schools. For Carruthers, it was education, not protection, which would secure for New South Wales (and later Australia) the industrial advantage in the twentieth century. For those who would not work, however, he had less sympathy. He held a philosophical objection to “the dole” and believed that if it had to be paid then recipients should be made to work for it. Carruthers fought the “wowsers” who wanted to ban alcohol and wagering on races; he fought for free speech, even during the depths of the First World War; and he opposed government price fixing and stamp duties. It is only in his dealings with women where some ambiguity arises. Carruthers initially opposed votes for women, but actively encouraged women’s participation in the liberal political organisations. His chief concern appeared to be that women preselected and voted for candidates based on their moral character, rather than their ideological purity to liberalism. By 1908, however, the experiment in women’s voting in Australia appears to have assuaged his concerns: on a trip to the UK he urged his audience to support female suffrage. Even Carruthers’s personal life had elements of modernity to it. He was an early and enthusiastic adopter of the telephone, and in doing so has hampered historians by leaving far fewer personal exchanges than his contemporaries. He got divorced in 1895, a scandalous occurrence at that time; was falsely accused of corruption; and lost a politically-charged defamation action. In New South Wales politics, plus ça change, plus c’est la même chose. Carruthers’s final years are somewhat underwhelming given how brightly he shone in his early career. He ended up in the New South Wales upper house, with a newly independent outlook and a penchant for annoying premiers of all political stripes. He got distracted with an impossible scheme for “a million more farmers”, promoting British migration to Australia, writing the history of Captain Cook, and working for better relations with Australia’s Pacific neighbours. Zachary Gorman has done an excellent job to bring not only this amazing individual to life, but the idiosyncrasies of the times. We learn that, in New South Wales, being appointed to the ministry meant you had to immediately contest a by-election for your own seat; that part of post-election celebrations meant driving through the streets and having flour—not flowers—thrown at you; that the Governor complained about some ministers “drinking to excess” at Executive Council meetings. Or how about the shenanigans of Russian spies in New South Wales during the Russo-Japanese War, and how Carruthers’s response earned him an Order of the Rising Sun (First Class) from the Imperial Japanese Government. This is a great read, and Gorman’s obvious sympathy for his subject flows through its pages, but it never falls into the trap of hagiography. Carruthers had his faults, and they are not swept under the carpet. This work fills a vital gap in the history of Australian liberalism, and in the genealogy of the anti-socialist parties of the nation. Sir Joseph Carruthers is thus a worthy addition to the small but growing canon of quality literature on these subjects.